The Senate Committee on Independent National Electoral Commission (INEC) has expressed concern over more than 400,000 Permanent Voter’s Cards (PVCs) unclaimed in Rivers INEC office. Sen Suleiman Nazif, Chairman, Senate Committee on INEC, made this known to the News Agency of Nigeria (NAN) after an oversight function of the committee in Port Harcourt on Monday. Nazif is the PDP Senator representing Bauchi North Federal Constituency. He said that though INEC had shown readiness in terms of manpower and facility upgrade, low PVC collection rate in Rivers was a source of great concern in the forthcoming general elections. “We are here in Rivers to see first-hand how prepared INEC is ahead of the 2019 general elections. “We went round their offices and we saw the state of the card readers at the IT Department. We had a chat with the staff and they assured us that they were all geared up and ready for the 2019 elections. “We also requested to see the published register and we sought to know the response level toward PVC collection and we found out that over 400,000 PVCs had not yet been collected,” Nazif said. The lawmaker, however, said that the committee would cooperate with INEC toward ensuring that every person living and in the best state of health claimed his or her PVC before the election. Nazif said that though INEC was working very hard, it should do more in the area of distribution of PVCs across localities. He urged INEC to start pasting names of owners of unclaimed PVCs in affected localities to improve on collection response. 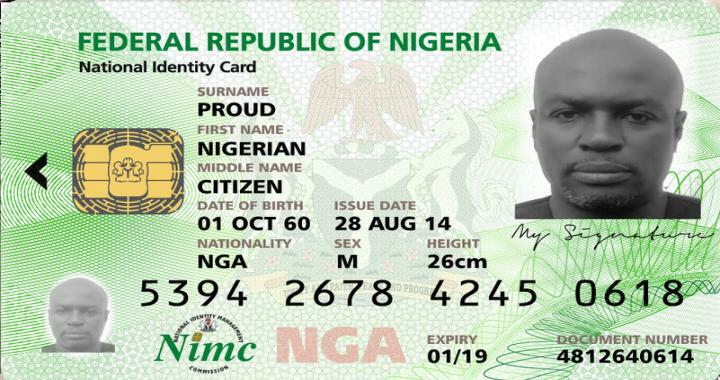 Attributing a high number of unclaimed PVCs in the state to relocation or death of some PVC owners, the lawmaker urged every eligible Nigerian voter to secure a Permanent Voter’s Card. “What surprised us most is that the recent PVCs produced a couple of months ago had been collected while the old ones remained unclaimed. “I think that owners of the unclaimed PVCs may have been posted out from the state. Some of them may be students, who got registered in their final year and may have graduated and left the area, while some owners may have passed on. “Whatever be the situation, 400,000 unclaimed PVCs in only one state is not a good sign of a progressive attitude toward the election. “It is incumbent on all eligible Nigerian voters to secure their PVCs. It is a thing of pride to have a card that enables us to exercise our franchise, ” Nazif said. Concerning the status of the card readers, the lawmaker explained that he was satisfied with the storage and safety of the device in Rivers.